MOOSIC, PA (January 3, 2018) - The Scranton/Wilkes-Barre RailRiders are now accepting resumes for their 2019 internship program. The club is seeking interns in a variety of areas and will offer both paid and for-credit positions. The RailRiders are offering internships in the following areas/ fields: Analytics, Box Office, Client/Corporate Services, Community Relations, Game Operations, Marketing, Media Relations/ Broadcasting, Social Media and Ticket Sales. All resumes can be emailed to Amy Miller, the RailRiders Business Operations Manager, at amiller@swbrailriders.com. Please note in the subject line which internship you are interested in. Resumes will be forwarded on to the appropriate department for further review. Interviews will be set by each department head at their own discretion. The team is holding job fairs on January 12 and 16 for seasonal employment. Internship interviews will not be conducted during these job fairs. For more information on the game day positions available at this year's job fairs, click here. 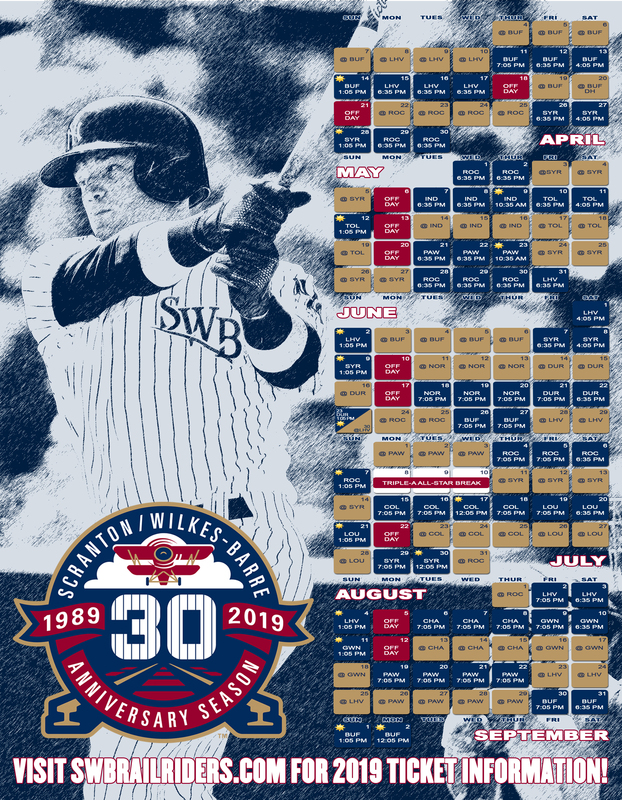 For more information on the 2019 RailRiders internship program and available positions or the upcoming job fairs, please call (570) 969-BALL.